It was built by the Dominican Fathers in 1820. PACO Park is located in General Luna Street for burying the dead of the Spanish elites. Previously, it was the municipal cemetery of Manila especially for the autocratic families lived in the Old Manila earlier. Nowadays, people take it as a recreational spot where the finest musical talents and chorales are exhibited on every Friday. Having said, this park is no less than an auditorium for the artists to drive audience towards their exceptional work. In fact, the guest stars as well as locals perform in the evening of classical and traditional Filipino Music. This beautiful palace is located along the north bank of the Pasig River. There is still a contradiction upon where exactly the name of this palace came from. Some believe that it actually derived from the Tagalog Phrase, "May Lakan Diyan", which means "a rich man lives there". Whereas, some even perceive that the name Malacanang came from the "mama lakaya", which is translated as "the fisherman who laid their catch there". Whatever it exactly is but it doesn't affect the popularity and acceptance of the beauty and prestigious value of this Palace. Inside the Palace, you will come across Bonifacio Hall. It is actually the Guest House used by the Ferdinand Marcos, the former President, which later was turned into the office of the President Corazon Aquino. After that, this hall was again used for the residence. This exquisite palace has much more to astonish you with such as the Kalayaan Hall, New Executive Building, Mabini Hall and etc. For the ones interested in sports, there is also a park inside having a Golf Course. Whenever you pay a visit from Doha to Manila, make sure to add this palace in your must-go list. This park is actually named after Dr.Jose P. Rizal, who was the national hero of Philippines. It's also known as the Luneta Park currently. Dr. Jose has been known to contribute exceptionally into the history of Philippines. He was executed on 30th December 1896 and this incident actually ignited the Philippine Revolution against the Spanish colonizers. At that time, the political rallies of Corazon Aquino and Ferdinand Marcos also took place in Rizal and it's exactly the place where Government of Marcos came to its end. This beautiful park is located along the Manila Bay, which is also known to be the heart of Manila. Manila Bay is a place where the World War 2 took place. Currently, it's simply an amazing and favorite spot for socializing as it's finely embellished with the grassy lawns and beautiful garden. Even Families prefer to visit this place on Sunday and Public Holidays for Picnic that makes it a true bonding place for the locals. Once you travel from Doha to Manila, don't forget to show up at the bronze and granite Rizal Monument as it's amongst the most popular cultural landmarks in the entire Philippines. Along with the sceneric importance, this monument also carries the National Significance as well because there are remains of Philippines National Hero underneath this monument. 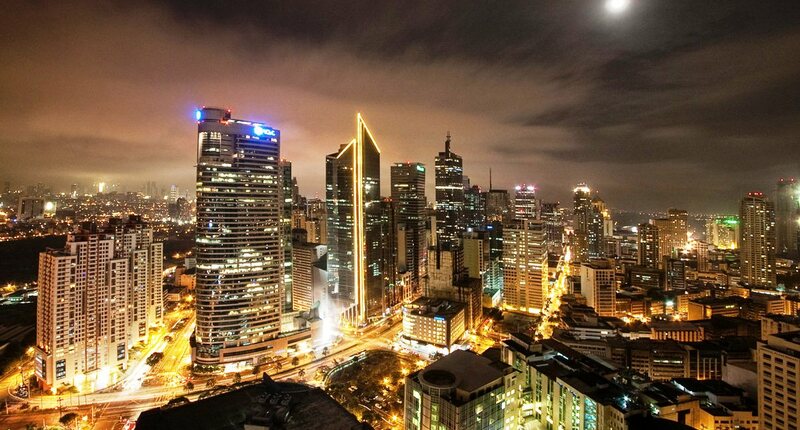 Are you intending to visit some historical places of Manila this season? Just check out this article and discover.